This interview originally appeared in our Fall 2013 issue. 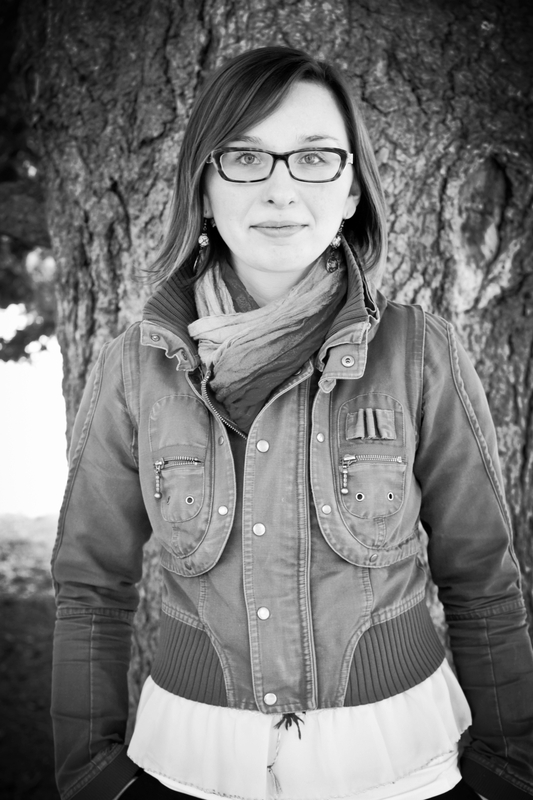 To read Caitlynn Cummings’ short story, “Spraka Blu,” order a copy of the issue here. With her BA, Cummings flew off to Scotland, her ancestral homeland, to study creative writing at the University of Edinburgh. There, she earned a Master of Science in Creative Writing (every taught postgraduate degree given by the university’s College of Humanities and Social Sciences is dubbed MSc rather than MA). After graduating, Cummings had plans to return to Canada and live in one of its literary hot spots—Toronto or Vancouver. However, her partner had an amazing job offer in Calgary, so she moved with him there, hoping to find a modest writing group to participate in, if anything. What she found instead was a booming literary scene: readings, festivals, slams, book launches, micropresses, and publishing houses. Though novelists and playwrights also abound in Calgary, the number of poets pounding the pavement never ceases to amaze Cummings, who admits she has been “peer-pressured” into writing more poetry, due to the seemingly never-ending opportunities for writers in that genre. She also found the experimental literary magazine filling Station, which was looking for a new managing editor. So with no hope of winning the position, Cummings applied—and you know what happened. “Apply to things even if you don’t think you’re qualified,” Cummings advises. “You probably are. I never thought I’d get the coolest jobs that I did.” Cummings’ philosophy also earned her a job with the Calgary Distinguished Writers Program. In her position as coordinator, Cummings brings two writers to the University of Calgary each year, one as the writer-in-residence and the other as a distinguished visiting writer. Her job gave her the chance to meet and have dinner with Margaret Atwood—an admitted highlight of her job—when the Canadian literary icon visited in February. Though Cummings’ resume is already quite long, she has more projects that she wants to accomplish. She’s been re-working her dissertation—a novella set in Scotland in the 1850s that follows the epic journey of a gravestone carver who searches for his origins using the Norwegian runes on his baby rattle—and she plans on expanding it into a full-length novel. Cummings also wrote a play about an Alberta trucker who picks up hitchhikers, which was supported by Calgary 2012, and work-shopped recently at Evergreen Theatre. Read Caitlynn Cummings’ latest short story in New Writing Scotland 31: Black Middens; check out her latest poem in the April 2013 issue of Alberta Views. If you’re curious to learn more about filling Station, visit fillingstation.ca, where you can subscribe and submit your experimental work to the magazine.